Not everything that happens in life is warm and fuzzy and wonderful. Sometimes life is absolutely terrifying and paralyzing. This has been one of those weeks. Without sharing too many of the gorey details, it’s enough to say that I am now missing a golf ball size piece of my shin and had to have a skin graft taken from another part of my body to close up the hole. This story ends well as I heard yesterday that the margins are clear and the tumor was completely excised. But that is not actually what I want to talk about. Between biopsy and then surgery there was less than twenty four hours but I managed through Facebook and email to rally my global tribe. My doctor friend who could talk me through probable outcomes and what my shin will look like when it heals, to the endless Whatsapp messaging I did with Vanessa over days when she was meant to be studying for an important exam, to the mimosa morning my Amman Core came to sit on the couch with me and just listen, to the friends abroad who sent karma into the world, meditated with monks or convinced me to shop online for Furla bags to pass the time. Too often we try and face situations alone, to be the strong one, the one who can manage everything. Society seems to value that and see it as the ultimate success. I sit here and type this knowing that I dodged a bullet by getting the cancer out when I did. I also know that my life is richer for having a tribe of amazing people in my life. Maybe that’s what I am meant to learn from this experience…. Gather your tribe when you need them. 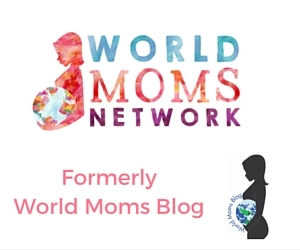 This is an original post to World Moms Blog by our contributor Jackie Jenkins in Jordan. Photo courtesy of kizzzbeth / Flickr. We are a few months into our new 'home of our heart' location in Amman, Jordan. Originally from Canada, I have been moving around the globe for more than twenty years as my husband works for UNICEF. While we were a carefree couple in Uganda, Lesotho and Bangladesh, Meghan joined our family in 2000, while we were living in Myanmar. She was joined in 2005, while we were posted in India by Charlie, her energetic younger brother! Since then we have lived in Mozambique and New York. I am an educator and have been incredibly fortunate to have found rewarding jobs in international schools wherever we have been posted. 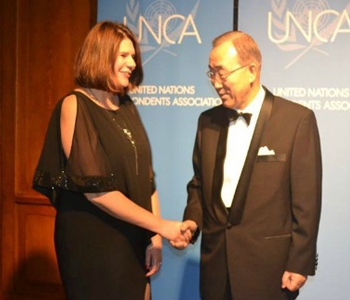 Most recently I was the Elementary School Principal at the United Nations International School in Manhattan. Since arriving in Jordan, I have been a stay at home Mum, exploring, photographing and learning about the incredible history of the region and the issues facing not only the Jordan population but the incredible number of Syrian refugees currently residing in the country. While I speak English and French, I have not yet started to learn Arabic; a big goal for our time here. I write to record and process this incredible journey we are on as a family. Time passes so incredibly quickly and without a recording of events, it's hard to remember the small moments and wonderings from each posting. Being a mother in this transient lifestyle means being the key cheerleader for our family, it means setting up and taking down a house with six weeks notice, it means creating close friendships and then saying goodbye. All this, while telling yourself that the opportunities your children have make the goodbyes and new hellos worthwhile. Raising a child in this lifestyle has incredible challenges and rewards. The challenges include culture shock every single time, even when you feel the move will be an easy one. It means coaching yourself, in your dark moments to be present and supportive to your children, who have not chosen to move but are trusting you to show them the world and the meaningfulness of the lifestyle we have committed to as a UNICEF family. The upsides to this lifestyle are incredible; the ability to have our children interact and learn about cultures, languages, food, and religions firsthand, the development of tolerance and empathy through relationships with many types of different people and the travel, they have been to more places before the age of ten than some people do in a lifetime! My commitment to raising children who believe in peace and feel responsible for making a difference in creating a better world is at the core of everything I do. Dear Ms Jenkins, so happy to find you here after Ethan and I talked about Jordan and your departure from UNIS today! Ethan was a JA baby when you were still here and now he is going to be in middle school in September! We miss you a lot here. Great to hear about the happy ending, you are such an amazing woman and mom!! !